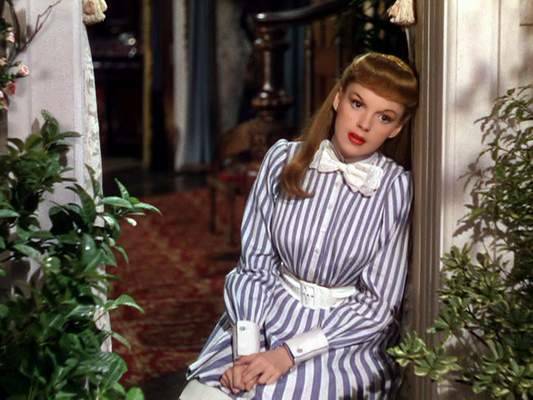 Meet Me in ST Louis, Vincente Minnelli’s perennial Christmas favourite, is like an old friend. You may only meet them once a year, but within five minutes of seeing them you remember why you love them so much. They make you smile, feel warm and look back nostalgically to a time when everything seemed so much better. Tracing the ups and downs of the Smith family from St Louis, in particular their four daughters Rose (Lucille Bremer), Esther (Judy Garland), Agnes (Joan Carroll) and ‘Tootie’ (Margaret O’Brien), the film follows the seasons of the year in the lead up to the 1904 World’s Fair. When their father Alonzo (Leon Ames) decides to take up the offer of a job in New York, his family’s reaction to the news makes him think again, and focus on what’s really important in life. The film, made when Garland was still riding the crest of the wave from the phenomenal success of The Wizard of Oz (1939), and on which she was to meet Minnelli who was to become her future husband, is very much a product of its time. However, where other films of the same era may seem twee and stilted to present day audiences fed on a diet of big budget Hollywood and crass commerciality, Meet Me in St Louis is as fresh as when it first aired nearly seventy years ago. Though clearly no expense was spared – the film cost over $1.7 million to make (which was hardly skimping it in 1944) – and whilst George J. Folsey’s cinematography and the vibrancy of the film’s technicolor makes the costumes and scenery jump from the screen in an almost artificial way, it still works as a whole because of its strong storyline of family values and the innocence of childhood (elements that transcend time and which we all like to think we still believe in deep down, especially at this time of year). There is also an inherent cleverness missing from much of today’s cinema. Take for instance the word play in Irving Brecher and Fred F. Finklehoffe’s exquisite screenplay. When Esther returns from a visit to John, the boy next door (played with an all American ‘Ralph Lauren’esque air by Tom Drake) during which they experience their first kiss, her mother tells her that her ice-cream which has been waiting for her is melting, to which she wistfully replies “isn’t it”, implying that her icy demeanour to John may also be thawing. The script is laden with such subtle double meanings, which work wonderfully within the more innocent early twentieth century setting. But The film really belongs to Garland and O’Brien. They make each scene they share pure magic, exuding an effortless confidence which lights up the screen, with the rest of the cast reduced to mere bystanders. Garland, in numbers like the famous ‘Trolley Song’ (which she reputedly did in one take), and O’Brien (who was given a special child Oscar for her performance), display the reason they were both considered Hollywood gold, making them and their studio bosses rich in the process. Meet Me in St Louis was made at a time when America, and the rest of the world was just emerging from a devastating world war and still had many years of austerity ahead. As a result songs like ‘Have Yourself a Merry Little Christmas’, the film’s most famous and achingly sentimental ballad, gave audiences the hope that tomorrow would be better and all their troubles would “seem faraway”. If you experience bleak times, no matter when, you could do worse than to meet Esther and her family in St Louis, and forget your troubles also, for just a while.